MAKE A CHANGE FOR THE BEST! THAT'S NOT JUST POCKET CHANGE YOUR THROWING AWAY! Team Precision Manufacturing, LLC, manufacturing products that everyone can afford. 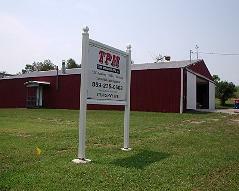 Thank you for considering TPM, LLC for your fabricating, machining needs. your one source for all your needs. delivery for our most exacting customers. At TPM, we want to become a positive member of your team, to be an extension of your operations. send us an email inquiry or call for any additional information.